Welcome to the Good Morning Snore Solution Review. Is snoring a problem for you? Are you finding it difficult to get a good night’s rest? Are those around you complaining about your snoring? If you answered yes to the questions above, then you may have just found the solution to all of your snoring problems. Good Morning Snore Solution has been clinically tested, approved by many users and has been cleared by the FDA, Health Canada, EEA and ARTG. Is the Good Morning Snore Solution right for you and can it help to cure your snoring? Well, before we get into that let’s take a closer look at some very important information that will help you to make that determination. They say that the proof is in the pudding, and what you really want is real world clinically tested results, right? The Good Morning Snore Solution is one of the few on the market that can boast a clinical trial of their product. What this means is for your own peace of mind, you can rest easy knowing that the device was put through its paces and has been proven to work. It’s one thing to take a user’s word for it and to rely on what they are self-reporting, however it’s something completely different when you are talking about a controlled environment that is being overseen by a medical doctor. Dr. Leslie Dort, a Calgary Dental Researcher, took a group of 32 individuals and gave them either the actual device or a control device that was close in design to the Good Morning Snore Solution (without the suction design). There were many great findings from the trial that lasted for one week. However, there’s really only one finding that will interest you – Did it help with the snoring and the person’s ability to rest? The answer to these two questions is a resounding Yes. Over 70% of individuals who ended up using the device stated that they wanted to continue using it because it helped with their snoring and their sleepiness during the day. With clinical data to back their product, you can see that the Good Morning Snore Solution is truly out to establish themselves as one of the best anti-snoring devices on the market. Now that you have seen the proof to back their claims, let’s have a closer look at what makes up this device. The Good Morning Snoring Solution isn’t just another anti-snore guardmouthpiece. No, it’s much more than that. While other devices are built to position your jaw in such a way to open up your airway, it won’t matter very much if the problem isn’t your jaw. In fact, what the Good Morning Snore Solution does is addresses your tongue. For many snorers, the problem is a result of their tongue falling back as they lay down to go to sleep. 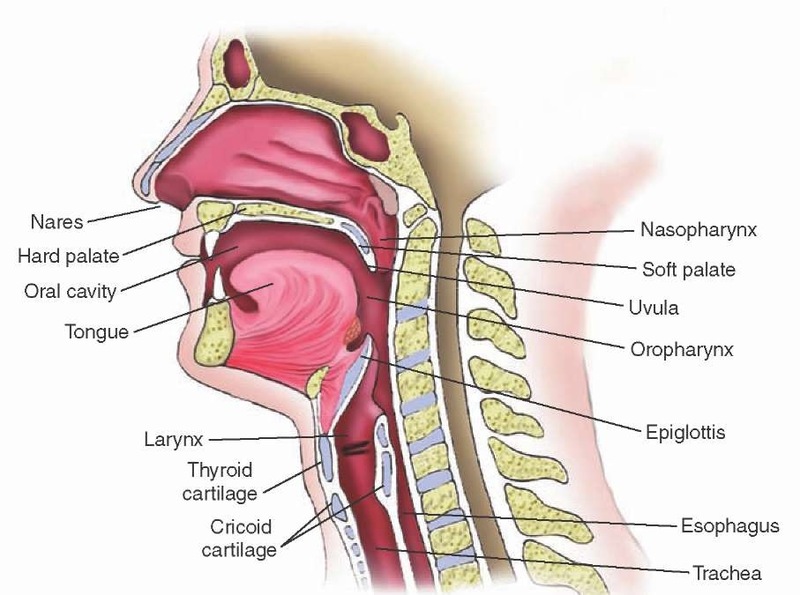 Their tongue blocks their airway causing the snoring and restless nights. Built within the mouthpiece is a suction area that gently pulls the tongue forward, which in turn results in a clearer airway and the ability to breathe properly as you sleep. As described earlier, the Good Morning Snore Solution addresses the tongue. It gently pulls the tongue forward so your airway is clear. Your tongue won’t be able to obstruct your airway and you should be able to breathe as you sleep. As with anything new, it may take some getting used to the first few nights that you use the Good Morning Snore Solution. How Does The Good Morning Snore Solution Differ From Other Anti-Snoring Devices? Many other devices typically address the jaw and the position of your jaw, rarely taking a look at your tongue, which may actually be the culprit. These devices will call for your jaw to be slightly pushed forward to open up your airway. tic as you may begin to feel some discomfort in your jaw, and also may experience some issues with chewing and biting. While this is not always the case, it can occur from prolonged use of a device that shifts your jaw into a specific fixed position for long periods of time. Is The Good Morning Snore Solution Right For You? There’s a simple test to see if the product is right for you. All you need to do is simply make a snoring sound. Now, the next thing that you need to do is stick out your tongue between your lips. Once you have your tongue in this position, what you need to do is try to make the same snoring sound. If you find that you cannot easily make a snoring sound, then the Good Morning Snore Solution claims that the product is right for you. If you find that this simple test yields results that point towards you being a good candidate of the product, but you are still hesitant, then what you need to keep in mind is that there is a money back guarantee. This means if you get it and it doesn’t work for you, then you can simply send it back and ask for your money to be returned. Good Morning Snore Solution Review – What Are Users Saying? While the product creators can tell you all about their product and how well they work, what you really want to know is what other users have experienced, right? Here’s a look at some of the many testimonials that are on the product’s site. Some of these testimonials have been imported from other sites such as Facebook and Google. A user in his 50’s reported that he had been searching for solutions for quite some time, and wanted something that was not too invasive to use. The user reported some adjustment period to the device, but once he got used to it the quality of his sleep was much better, and those in the same room reported reduced snoring. The user did mention that he does not always snore, so one must take that into account with this Good Morning Snore Solution review. Another user mentioned that he is a long time user of the product at over two years of use. He did mention that he does not have sleep apnea or any other sleep disorders, but that he sleeps much better. For someone who has a mild case of snoring, according to the testimonial and the previous one, it looks like the Good Morning Sleep Solution may be an option. Yet another user did mention that he felt this wasn’t built for someone with a short tongue. Again, tongue length will vary and the only way to really find out if it will work for you, after doing the preliminary testing that the site suggests, is to get it and try it out for yourself. At the very least, you just may find that it doesn’t work, in which case you can get your money back. 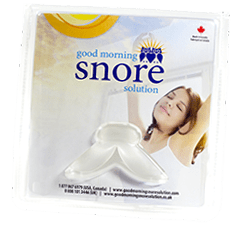 The overall feel from the reviews from the Good Morning Snore Solution site is that the product does work, however there is an adjustment period to get used to the product. There are also reports of others using it for several years, which makes it appear to be more of a long term solution for some. Now, let’s take a closer look at what others are saying from third party sites such as the forums. One user gave the device an honest GMSS review saying that it did not work for him, however the user did mention that his snoring was caused from blocked nasal passages and not from his tongue. In all fairness, he did mention that the manufacturer already tells you this won’t help someone with nasal concerns, so if your snoring is caused from your nasal passages then you may want to pass on this device. Several other users rated the Good Morning Snore Solution highly, saying that at first they were skeptical but after using it they found that it did work to cure their snoring. Several of these users also mentioned the same thing – the acclimation period. As with any device that you will be using at night, there is an adjustment period that you need to take into account. These users appeared to be very satisfied with the product. There are a mix of the Good Morning Snore Solution reviews, but it seems that the lower reviews spoke more to the issue of the device not working because the problem was not what the treatment was for. For instance, the GMSS addresses problems with the tongue blocking the airway, so if the snoring is being caused by nasal obstructions then it’s not being properly treated. The best way for you to determine if the product is absolutely for you is to check in with your Doctor to see what is the root cause for your snoring. If you already know that it’s your tongue then you can give the Good Morning Snore Solution a try. How Much Does The Good Morning Snore Solution Cost? You can get one of the devices for USD $99.94. You can also opt for the family pack of two for USD $129.94. You can get one for you and another for a family member at a lower cost, or purchase one to keep at home and one to travel with you. GMSS Review: What’s The Bottom Line? As you can see from the product, there are many satisfied users who have used the device with great success. 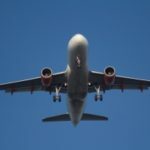 While other sites do mention some concerns such as the time involved to get used to it, there seems to be positive results from long time users. Others did mention that it did not work for them, however you must keep in mind that their snoring conditions may not have been caused by their tongues. The bottom line is that majority of users have found great long term success with this product. If your tongue is obstructing your airway during sleep times, and is causing your snoring, then this may be the best anti snorning device for you. There will be getting some used to this product, as would be expected with any other anti-snoring device, so be prepared for that should you decide to give it a try. The money back guarantee and trial period should also give you some comfort should you have some initial resistance to trying out the product. Our opinion is that the Good Morning Snore Solution is one of the best and most advanced products of this type (if not the best..) so it’s worth giving it a try. There’s only one person that can make that decision, but hopefully with the information we have outlined in our Good Morning Snore Solution Review, you should be armed with the information you need to make the best decision possible.